HARTFORD, CONN. – HB 6335, a proposed bill that the antiques trade characterized as “the destructive ivory ban,” has died quietly at the close of the state legislature’s session. “Despite making it through Environment Committee, LCO had some issues with the bill and it was referred to Judiciary. It was not called before the deadline and subsequently expired,” said Mitch Bolinsky, who represents Newtown’s 106th District in the Connecticut General Assembly and had opposed the measure. The Legislative Commissioners’ Office (LCO) provides nonpartisan legal counsel to the members of the Connecticut General Assembly and their staff. Opponents say HB 6335 would have put the state’s historic artifacts at risk, undermining the ability of Connecticut’s art and history institutions to fulfill their missions and harm struggling small businesses. HB 6335, An Act Prohibiting the Sale and Trade of Ivory and Rhinoceros Horn in Connecticut, was co-sponsored by Representatives Diana Urban of Stonington and Josh Elliott of Hamden. Its harm to collectors, museums and the antiques trade in the state, according to opponents, stemmed from an arbitrary 20 percent or less restriction and the inclusion of marine mammals in the definition of ivory, such as whale, walrus and narwhal. This, they contended, would create particular harm for Connecticut’s distinguished maritime history. 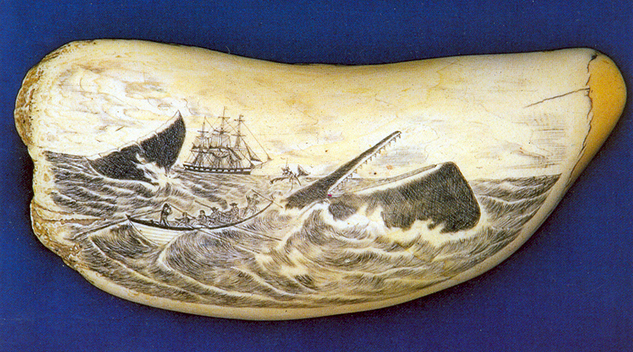 With New London as one of the world’s most important Nineteenth Century whaling centers, countless pieces of scrimshaw and other works of art would be banned and deemed worthless. “Banning, seizing and making family heirlooms, collections and museum pieces from a bygone era valueless would do material harm to law-abiding people, businesses and institutions throughout our state,” said Bolinsky. “HB-6335 was a bad bill that did nothing to solve the problem of poaching modern, illicit ivory. Having raised the same bill for the third time, not having learned from prior defeats and knowingly ignoring a better, more workable solution with bipartisan and community support was just plain poor judgement.